Stop in and check out all the new Pinewood Derby accessories, such as lighting, black-light, and glow-in-the-dark wheels and decals, and much more! Also available are tools to help you build the best racer. Have your car weighed on our digital scale. Learn tips and tricks. Yes, we sew! 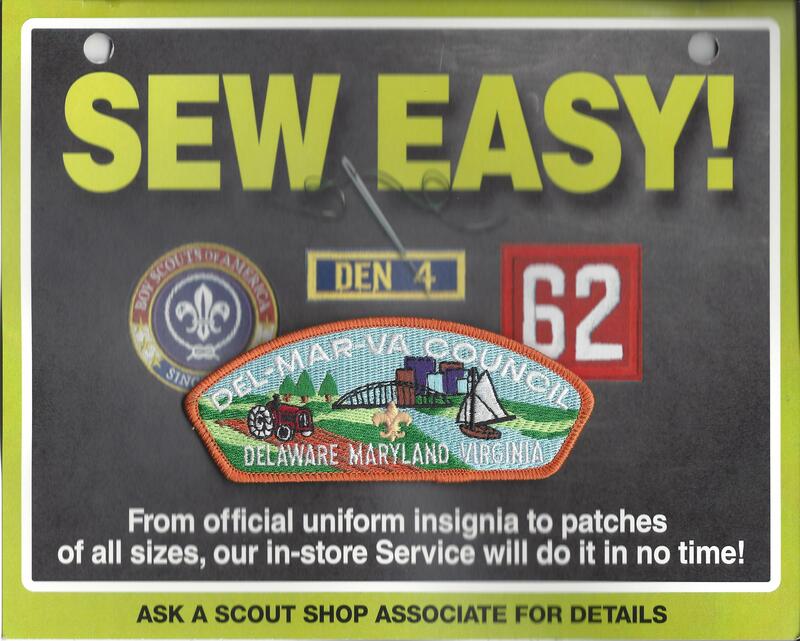 The Wilmington Scout Shop will sew your cloth emblems to your uniform shirts and merit badges sashes, for only $3.00 per emblem. And you know your emblems will be in the correct locations.